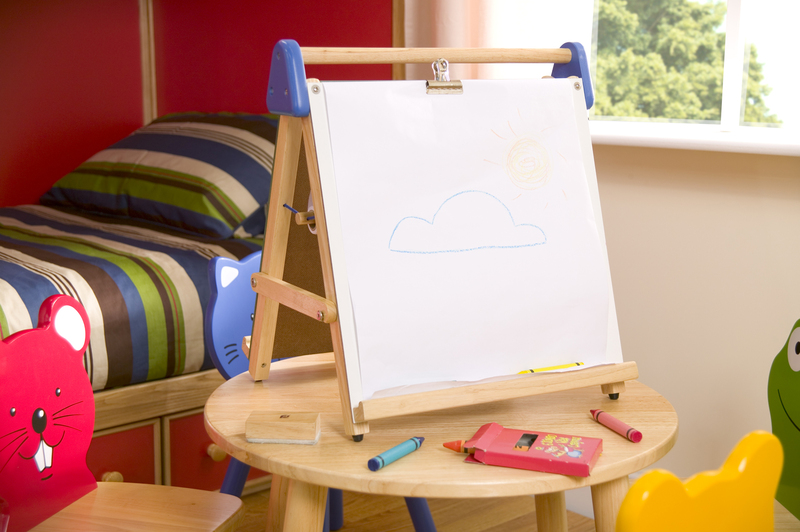 Made from replenishable rubberwood, this fold-and-store easel is ideal for kids to create art. For desk or tabletop use, one side has a chalk board and the other is for magnets, paper and erasible markers. With rubber feet to prevent marks to desks and other working surfaces, this portable easel is ideal for chalk, drawing, painting and many more kids activities. Contents: 1 x roll of paper, 1 x easel, 1 x eraser & 1 x clip to hold the paper in place.